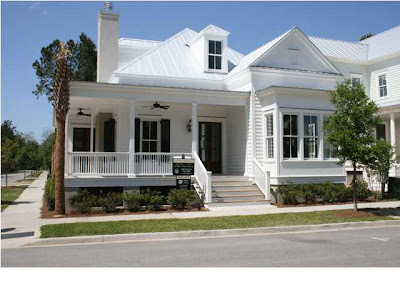 Just last month a closing took place on our 32 Perseverance Street home, located in I’On Village, Mount Pleasant, SC. This month, all you need to do is take a little stroll down to the end of the street to see that our LEED certified cottage on 4 Perseverance Street is now under contract! Kim Meyer, with Chuck Avera Keller Williams Realty has successfully landed both of these closings! The saying, “Three times a charm” is out as a little challenge for Kim to see if she will be the one to bring the 2009 Coastal Living Idea Cottage to the closing table. . . we shall see!